Frostpunk is the most ambitious project from 11-Bit Studios yet, and it is just three weeks left until official launch. To celebrate this, They are giving their greatest gift to gamers with arguably their most important creation so far: The survival game, This War of Mine – which is an emotional narrative highlighting the struggle of surviving war, and the heavy burden of getting by in a war-torn region from the eyes of those civilians impacted by the weight of war. 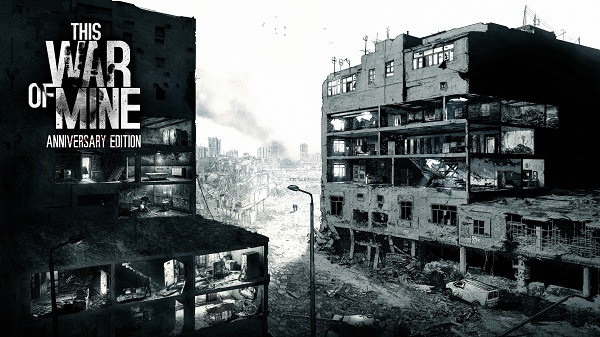 Recently, This War of Mine hit a milestone of 2.5 million copies sold on Steam and along with receiving many awards (including the SXSW Cultural Innovation Award and IGF Audience Award), this accomplishment has reaffirmed 11-Bit studios’ philosophy on creating mature, thought-provoking games. Additionally, the studio continues its mission to support the War Child children’s charity through funds raised by the sale of DLC content dedicated to that sole purpose and the studio hopes to share another milestone in fundraising soon. A special extended version of the game, This War of Mine – Anniversary Edition is free on Steam until Sunday, April 8th to celebrate the upcoming arrival of Frostpunk and to prepare Steam for the next emotional release from 11-Bit Studios.